It's a nice thought to want to wear your mother or grandmothers wedding dress. It keeps a tradition, and has a purpose and a meaning for you. What about the idea of using a strangers gown...or veil...or someone original "something borrowed" - that could get weird. That's what this website - Recycled Bride - seems to be leaning towards. Dresses, shoes, invitations - anything a bride needs for her big day can be bought at an extremely discounted price on this site...even wedding rings. 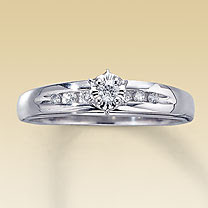 This one pictured here is a 10kt white gold engagement ring - that you could have for a whopping $100. At least it's a nice looking ring. 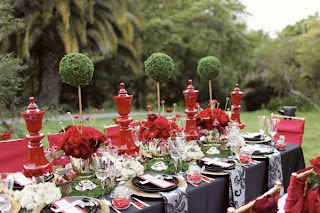 This idea of recycling everything from your wedding is indeed a unique one. For instance, there is a centerpiece section you can buy/sell from...but personally I've never been to a wedding where there isn't a dance around a table with a dollar bill to determine who takes home the centerpiece. But, it's a great idea for people who want that one special thing that they really can't afford - this site gives them the opportunity to sell it back. The site seems to have a great blog though that I'm looking forward to follow - you can read and follow, too, here. By taking a quick look at it, my favorite is the one with the Alice & Wonderland themed wedding. 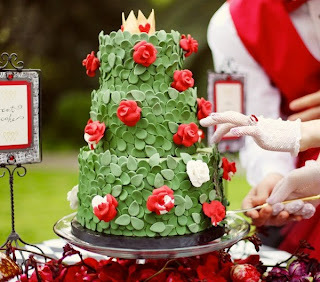 Here are some pictures for you to take a look at - that's quite the cake! cool and relevant post, meg! when everyone seems to be cash strapped, it's nice to know the bridal industry is trying to adapt. wouldn't mind partaking in recycled items when that time comes!